LED technology has come a long way in just the past couple of years…even months. 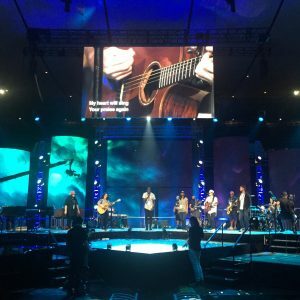 So, understanding the technology that is taking over the live events world is crucial for determining how and when you may implement it into your setup. Before you integrate any new piece of technology into your environment, you need to ask yourself a few questions. First, do you know what the technology can do and how it actually works? Do you know the difference in qualities, options, signal flow? What resolution do you need for your room? Do you understand brightness and how it compares to projection? Let’s get started by answering those questions to figure out if LED is right for you and how you should install it into your system. 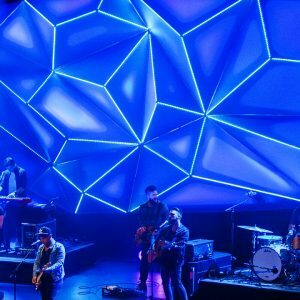 We wrote an article a while back on 3 Reasons to Choose LED over Projection. Hopefully at this point, you’ve determined that LED is a good option for your environment. 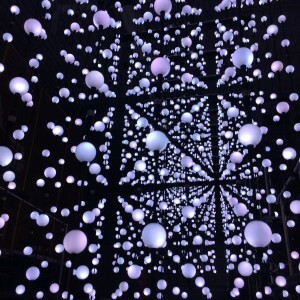 So, what type of LED application do you need? 5mil, 10 mil, 3.9 mil, 2 mil…the list goes on and on. What’s right for you? Don’t pay for more resolution than you need. In order to save money, we need to discuss the relationship between viewing distance and resolution. The closer your LED wall is to your audience, the higher the resolution (lower mil number) will need to be. Now, there are some basic equations for this, but the bigger factor to consider is how text will appear. Like with projection, there is more forgiveness with a motion background or still image, but text is either legible or not. The basics to understand is that the larger your text, the further away you need to be to keep it legible…and the smaller your text, the closer…however, when you get smaller text you will need to be sure you have a high enough resolution to display that text. Start with choosing your resolution by coming up with a few variables by answering the following. 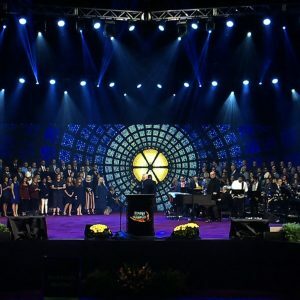 How far from your audience will the LED wall be located? How big of an LED wall do you want? When importing or creating content for your LED wall, what aspect ratio is the content? Essentially, what this comes down to is understanding that LED is about 3.5 times brighter than a 1 to 1 projector comparison. You will be able to run your LED wall in a typical live event environment at about 20-30% brightness. 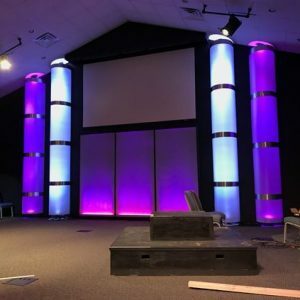 This will save energy, prolong the life of your LED wall, and keep your audience from squinting during the entire service. Ok, so now that we have some of the basics, what’s the best choice for your application? There are several “viewing guides” displaying “minimum” distance for viewing with different resolutions. However, when we consider real world application, we typically cut those guides in about half. It’s similar to looking at computer specs for different programs. There are of course the basics that will run the program, but to get the most out of it, you know you’ll need something better. For most rooms of about 500 seats to 2500 seats, you’re going to be looking at using a 2 mil to 4 mil product. Can you get away with less, of course, but with the expectation of excellence, you’ll want to be at least in the 4 mil area. When looking at rooms above 2500 seats, your mil size will come down more to content resolution (HD vs. 4K) and total screen size. If you’re using 4K content, I’d stay in that 2 mil range or lower to get the most bang for your buck. If you are going to be showing 720 or 1080 content, then you can get away with a lower resolution product, especially considering you’ll have larger walls or multiple. 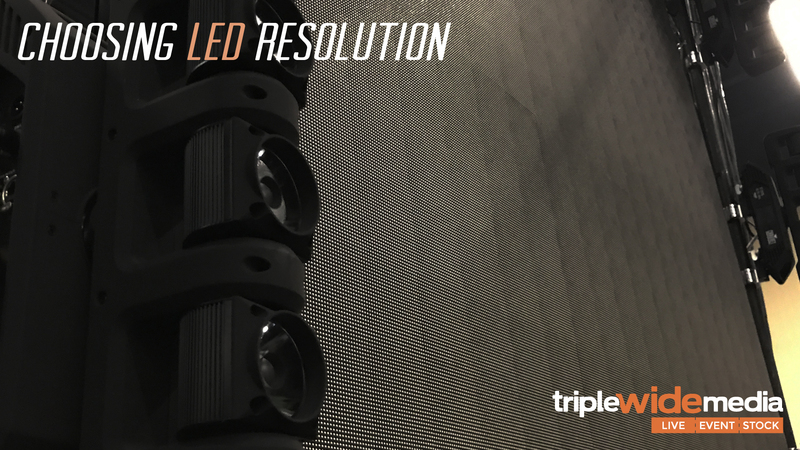 Finally, if you have a center LED wall that is a high resolution, consider adding in lower resolution elements in a 10-20 mil configuration for added depth, texture, and effects.